The Milwaukee M12 cordless drill is a compact yet competent power tool. It is powered by a very lightweight 12 volt lithium ion battery. Most kits you can buy this from come with the standard 1.5Ah battery, but a larger capacity battery can be purchased separately. The tool has an onboard “Fuel Gauge”, which is essential a battery charge indicator. The drill also boasts a work light just above the trigger and forward-facing, which can help with working in low light areas. The batteries are compatible with the entire M12 line. Once a few batteries and a charger is attained, any more that you purchase can be “Tool Only”. This can save money and cut down on the clutter in your work area. The chuck of all metal, single sleeve construction allowing you to only have to use one hand to tighten or loosen it to change bits while keeping the other hand on the handle. The M12 weighs only 2.1 pounds without the battery, slightly more depending which capacity battery you have connected. Such a light weight drill allows you to do more work without the fatigue associated with using heavier tools. The small size is ideal for quicker and more versatile handling. The drill can be easily stowed in the tool pouch on your hip until ready to use, or you can take advantage of the belt clip for access convenience when ready. Though the light weight, the drill peaks at 275 in-lbs of torque, allowing you to do just about any small to medium size project around your home. The two speeds are variable 0-400 rpm and 0-1500 rpm. Using the faster speed is ideal for low impact, low torque jobs such as drilling smaller size holes and screws. The lower speed allows more torque for some of the heavier duty jobs like drilling with hole saws and larger screws. Even with the limitations, this has become our go-to. Since most of what I do lately is service and repair jobs which generally only requires low torque, it is the one I get out to use. It is compact enough to through in my tool bag for convenience. The charger that you get if you buy the M12 2407-22 Kit (drill, 2 batteries, and charger – very recommended) will charge a battery in about 30 minutes. This way, if you happen to be doing a bit more heavy duty work with it, you won’t be without a battery for too long at all. Although this compact yet powerful drill is quite capable of most anything you may do around your home, there are limitations. Here is an example, let’s say your deck has a couple boards that need to be refastened or even replaced. The M12 can most certainly handle the repairs. However, if you want to completely rebuild the deck or even build one from scratch, you may have problems using this due to the repeated torque required to screw down deck screws. Other things that may not be recommended for repeated use of the M12 would be using paddle bits, auger bits, and large hole saws. Drilling a small few of these would be one thing, but if you have a lot of holes to drill, consider upgrading to the Milwaukee M18 18v drill. For more information about choosing the right tools, check out my article High Quality or Low Cost? to learn more. Though most of the gears are metal, there are a couple of plastic gears that can wear out causing slippage, mostly when changing speeds. As stated above, this drill is not intended for heavy use – some customers have complained of the motors going out because of the heavy use. Some customers have complained of the Milwaukee Customer Service being difficult to work with. 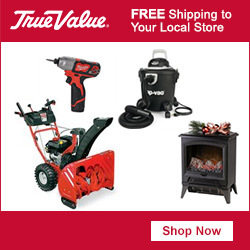 The Milwaukee M12 Cordless Drill can be purchased at most online hardware retailers such as Ace Hardware, True Value, and Build.com. You can also find great deals on the Milwaukee M12 at Amazon.com. There are many pros and cons to owning Milwaukee M12 12v drills. The drill is compact, capable, and versatile, but is lacking if you are looking to do much of anything heavy duty. I would love to hear from you if you already own one and tell us what you think about it. Also, if you have any questions or would like to leave a comment, feel free to do so below. I have been looking for a light-weight cordless power drill for small jobs around my house. This M12 model seems to fit the bill for me. I agree with you, I would like to buy the larger capacity battery, and maybe a spare, it’s always nice to have one charged and ready to go. Do you know how long it takes to charge the battery? I suppose that depends on which one I buy, but just looking for a rough estimate. This looks like a great drill at an affordable price for using around the house. It is a great drill, and surprisingly well balanced. The battery takes about 30 minutes to charge. Kits come with 2 batteries, so if you happen to be right in the thick of a project, you won’t be without one. Thanks Steve for stopping by! I have used many Milwaukee power tools in the past but never used their drills, I much prefer using Bosch cordless drills as that’s all I have ever used. What do you think of the brand Bosch and their power tools? Bosch does make great tools, as they do auto parts and industrial machinery. In my opinion, the Bosch tools resemble DeWalt as they are powerful and dependable, just not as well balanced, but I would almost never turn down the chance to use one. Ergonomics is a big selling point for me, and well balanced tools is high on my list of criteria. Thanks for stopping by!